If you have decided on a burial, there are number of important aspects to consider, including: type of burial, location, products required, type of service, headstone, funeral costs and cemetery fees. While many burials follow the traditional funeral service style, there are also a range of other burial options open to families. This article will cover what you need to know about the burial itself, rather than the burial service. For guidance on planning a funeral service, see our Funeral Planning Checklist. There are two main types of burials: ground and above ground burials. Ground burials are the most typical type of burial, with the deceased laid in a coffin or casket. However, another option is an above ground burial in a lawn crypt or mausoleum. In the case of a mausoleum entombment, the body is laid in a casket or coffin, placed in a crypt or large niche in the wall and then permanently closed. It should be noted that for above ground burial, cemeteries often require a full embalming of the body prior to burial for health and safety reasons. The majority of the time, both ground and above ground burials take place in a cemetery, however, occasionally families can arrange for the burial to take place on private land. If you wish to explore a burial on private land, please note that there are a range of laws in Australia regarding where and when this may take place. Another option which has become more popular in recent years is a green burial. A green burial generally takes place on designated natural burial site using a biodegradable coffin without the use of toxic embalming fluids. They are much more environmentally friendly. The grave may be unmarked or marked by a tree or fieldstone depending on your preferences and the burial site you choose. If you have certain religious requirements or a preference for a section with a particular religious affiliation, be sure to confirm that the cemetery you choose can accommodate your needs. When it comes to the products you need for a burial, there are number of basic items you need to keep in mind and budget for. Of course, you’ll need a coffin or casket. The key difference between a coffin and a casket is that a coffin is tapered at the top and bottom, whereas a casket is rectangular in shape. For more detail, see our article on the difference between a coffin and a casket. Coffins and caskets come in a range of styles and materials, with more alternative materials now available including wicker, bamboo, pressed cardboard and other more eco-friendly options. For guidance on the cost of coffins, see our Guide to Coffin Prices in Australia. Most cemeteries will also require the use of a burial vault or grave liner. Burial vaults and grave liners are usually made from copper, steel or concrete and go around the casket or coffin. Burial vaults completely line the grave (i.e. sides top and bottom) whereas liners only line the sides and top. The reason for vaults and liners is to prevent the soil around and on top of the grave from collapsing over time, ensuring safety and reducing the need for significant maintenance. Be sure to check with your cemetery regarding the requirements of any burial vaults or grave liners that may be required. Grave liners typically cost between $500 – $1,000. 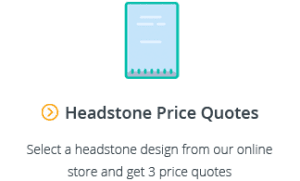 There are a number of choices when it comes to selecting a headstone, monument or grave marker. Headstones come in a variety of materials including bronze, granite, marble and sandstone. Regarding timing, headstones usually take 2-3 months to make and are usually only placed on the grave 6 months after the burial so that the ground on and around the grave has had a chance to settle. Given this time lag, it’s usually something that families choose to arrange several weeks or months after the funeral service. Compared to cremations, burials can be significantly more expensive, mainly due to the cost of purchasing the burial plot (known as the “right of interment”), which ranges between $1,500 – $52,000 in Australia, and the cost of a headstone or monument. 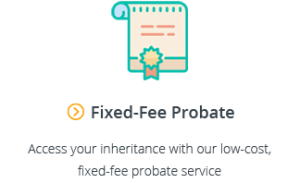 To learn more about burial costs and cemetery fees, see our article on the average cost of a burial and our guide to funeral costs in Australia. As you you can see, selecting a burial over a cremation is just the first step in the process and there are a number of important considerations that must follow. 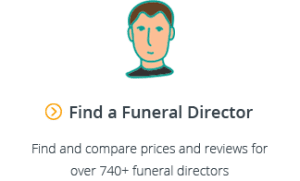 Once you have a broad idea of the burial you would like to arrange, it’s the right time to think about getting in touch with a funeral director. 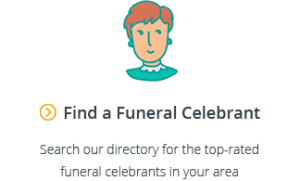 When you’re ready, Gathered Here can help you search and compare hundreds of local funeral directors.